More than 75% of adults share their wireless plans with at least one other person.1 And while it’s nice to share a plan with the people you love, splitting the bill can be tough. It takes work to calculate how much each person owes and can feel awkward to remind others to pay you back. To take the headache out of sharing your wireless plan, today we’re introducing group repay—an easier way to split your Project Fi group plan bill. Each month, we’ll calculate participating members’ portion of the bill, send out payment reminders, and provide a simple way for members to repay plan owners directly through Project Fi. You shouldn’t have to pull out a calculator every month to figure out everyone’s share of the phone bill. There are many different ways to split the bill, but whatever you decide, Project Fi will do the math. Once you’ve selected the option that works best for you, Project Fi will automatically calculate the correct amount. 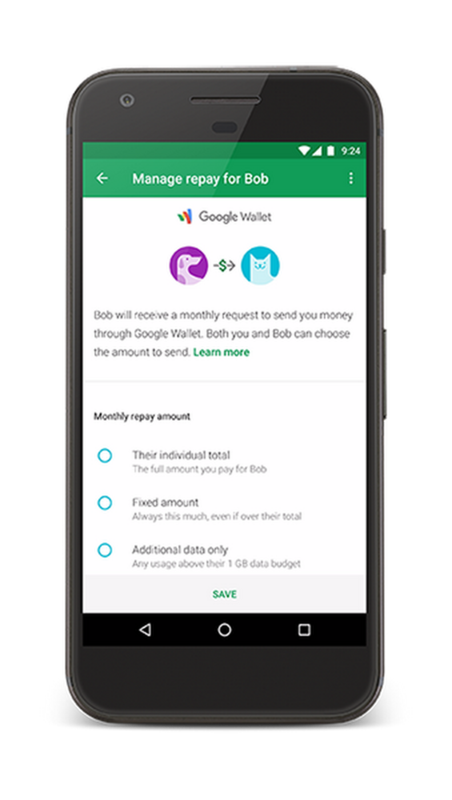 Any Project Fi plan owner or member can set up monthly repayment reminders with group repay. If you’re a plan owner, simply select a repayment amount for each member. 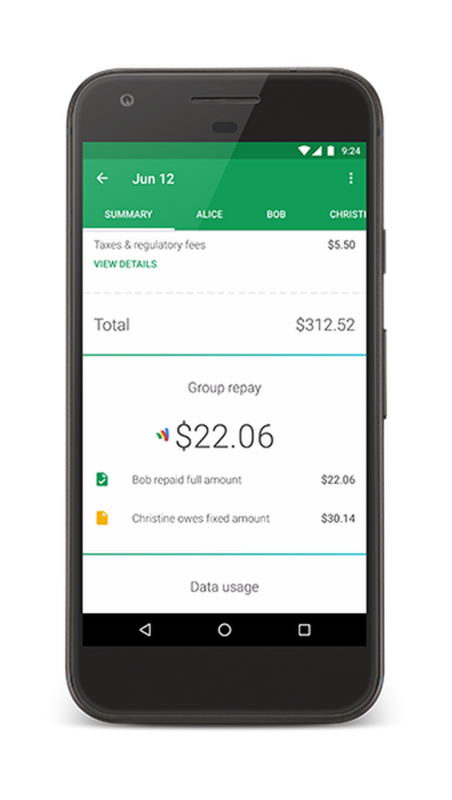 When it’s time to pay the bill, Project Fi will send repayment notifications to group plan members. 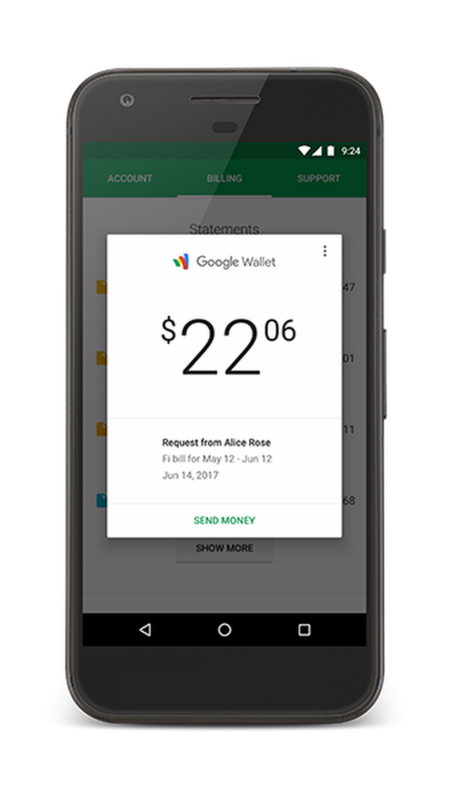 Thanks to an integration with Google Wallet, sending and receiving payments is just as simple. Plan members can simply tap the notification and hit “Send Money” to complete the request. Owners can even cash out repayments automatically to a debit card or checking account. We know it’s hard to manage all of your monthly bills, so we’ll help you track your Project Fi payment history. With group repay, you can easily view your full payment history and payment statuses for the current month. Getting started with group repay is easy. If you are currently on a Project Fi group plan, simply navigate to your account billing section to manage your settings. We're beginning to roll out this feature today, and it will be available to all Project Fi users by the end of the week. 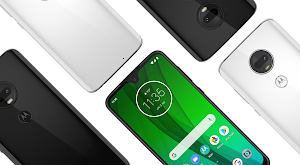 Finally, for a limited time, when Project Fi plan owners add a new member to their group plan, both will receive a free month of Fi Basics. For more details, see our FAQ.